Park International Export exports non-perishable wholesale grocery branded products through a network of safe distributors and retailers around the globe. It’s a fast-changing and highly competitive market out there. Foreign buyers value US made consumer goods products and the quality inherent in them. More and more foreign consumers are demanding US made goods. Let Park International Export help you capitalize from surplus, overstock and promotional inventories. Through our member portal, our distributors see a daily selection of the top brands wholesale grocery surplus products we have available. Through our unending commitment to export wholesale grocery surplus goods, Park International Export is constantly focused on delivering cost savings, service and value to our clients. With over 25 years of expertise serving retailers and wholesalers in this space, we have the depth, expertise and vision to help you run your wholesale and promotional grocery surplus goods safely and profitably around the globe. You can count on the fact that all of our products have been inspected and are guaranteed to be genuine and the top brands. How can we help you? To partner and learn more about Park International Export, contact us today. 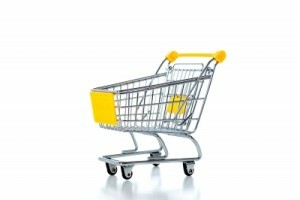 For details on wholesale grocery surplus goods available, distributors should register through our member portal site.